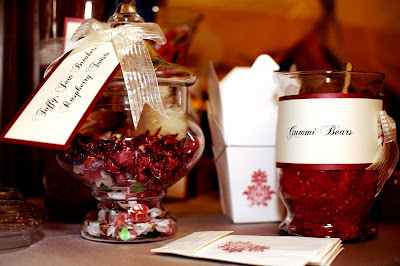 Honey Bee Weddings: I Love Candy! ...but readlly, who doesn't love candy?? 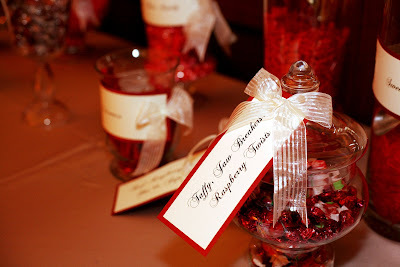 It is the reason that candy buffets are still a major attraction at weddings. Like a Sweets Table, they are more fun. Plus, the containers allow guests to take them home. The only problem is finding all of that candy! I thought that I would luck out with some red candy on sale from Valentine's Day. While we were able to get some red hots that were heart shaped, we still had 12 more flavors to fill our containers to the brim. 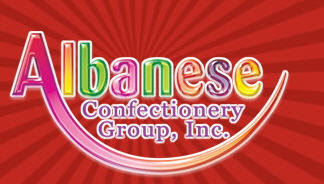 In my quest for all red candy, I found Albanese Factory located in Merrillville, Indiana. An hour drive from the downtown, the factory has everything you could want and more! Besides your usual red gummy bears, I was able to find all sort of treats including Raspberry Taffy, Berry Bursts, Strawberry Sour Rings, and much more! 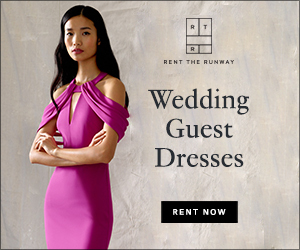 The prices are much lower than anywhere else. 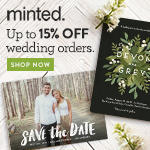 I have had many brides ask if they should buy their candy online. Honestly, if you are buying enough for a candy buffet, then you should probably make the hike out there. It's definitely worth it! Are Carnations a Dirty Word?